Original hand-painted calligraphy in thulth script (a display script). The quotation is taken from a poem by Mahmoud Darwish: “We have on this land what makes life worth living”. The design comes in blue, green or black ink and is signed by the artist. 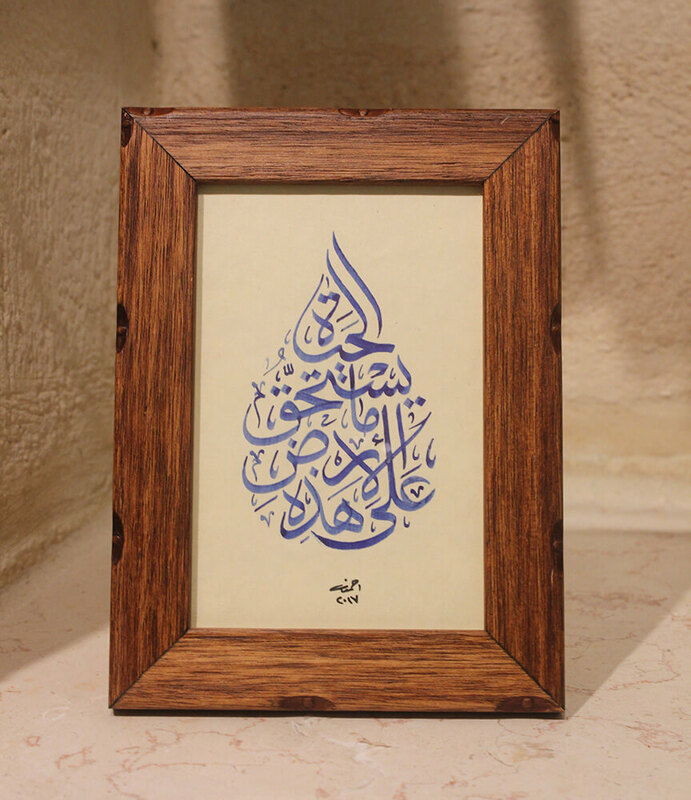 Available in either a dark or light brown wooden frame, and includes a label with a translation of the text in English. A self-taught artist from Haifa whose work combines traditional calligraphy with modern design, Ahmad selects texts based on philosophy and human values of freedom and love. 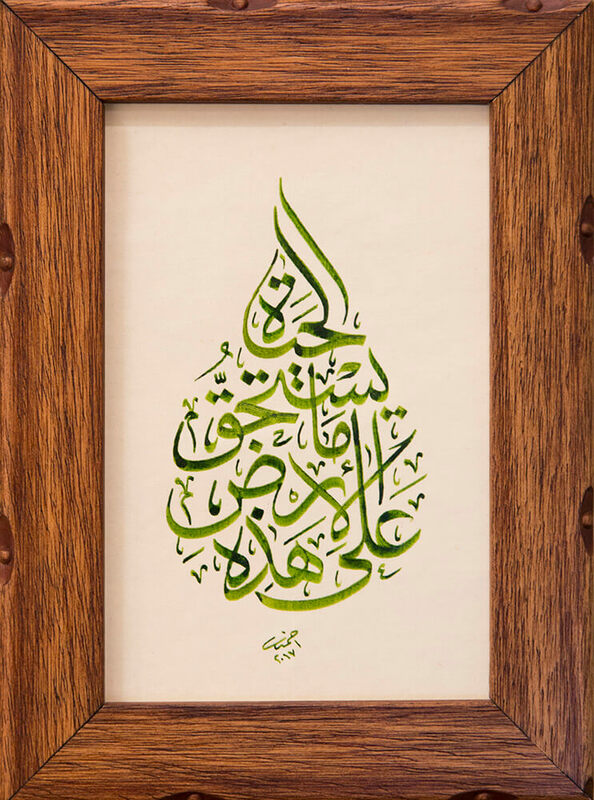 His vision is to promote different styles of Arabic calligraphy that integrate creative beauty and human intellect. He designed the calligraphy for the tomb of the Palestinian national poet, Mahmoud Darwish.